Welcome to the buzzing town of Goldsboro, North Carolina! Our town has a lot to offer. Our restaurants cover all food palettes, from Korean dishes to southern BBQ! After dinner, enjoy a show at the historic Paramount Theatre, peruse historic downtown, visit the Wayne County Speedway, shop at the Smithfield Premium Outlet Mall, or tour a local winery! There is something for everyone. 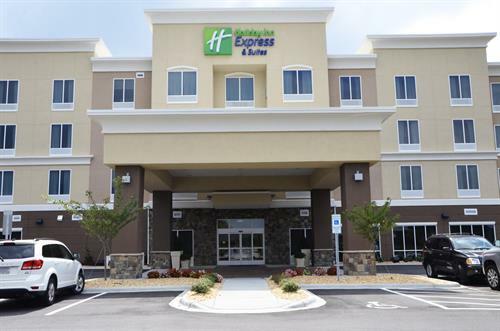 Holiday Inn Express and Suites® is primely located in the city of Goldsboro, directly off of Highway 70 East. While this makes it easy to get to wherever you need to go in Goldsboro, we have all you need within a mile of the hotel. We are within walking distance two famous restaurants, Logan's Roadhouse and Chili's Bar & Grill, and are just minutes from the Seymour Johnson Air Force Base, the Berkley Mall, and Downtown Goldsboro. 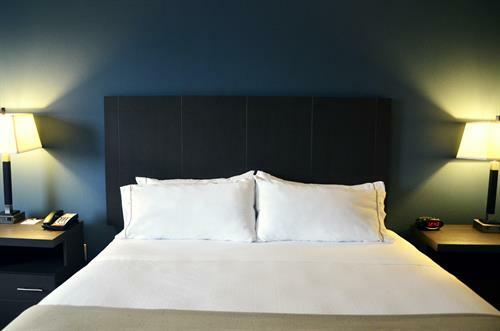 You will love our hotel's modern style. 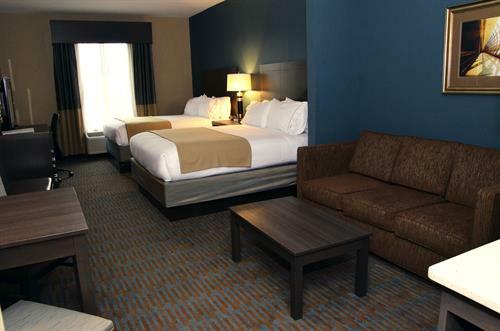 We have 2 different standard room types, and 3 different suite styles, including one-bedroom-style suites! Inside all rooms are a microwave and mini-fridge. 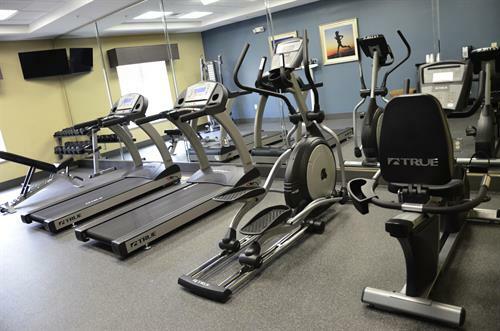 All rooms include a daily hot breakfast (scrambled eggs, biscuits and gravy, our signature cinnamon rolls and pancakes, and more), access to our 24 hour business center, Suite Shoppe, and fitness center. 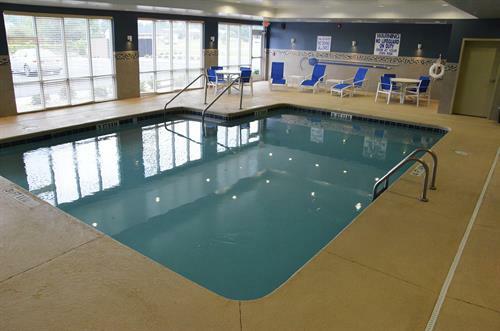 Our indoor heated pool is open between 7am and 11pm. 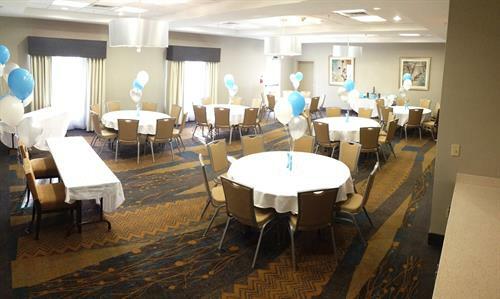 If you have a group and would like to rent a meeting room while you stay, we have both a banquet room and board room to suit your needs. So if you're in town for a sporting event, family reunion, or on business, travel smart and stay at the Holiday Inn Express and Suites®. We can't wait to see you here! Directly off of Hwy 70 East, at the exit to Sunburst Drive just before the exit for Berkley Blvd/Seymour Johnosn AFB.